With a new album dropping at the end of the month and their own festival on the way, it seemed just a matter of time before Gorillaz announced a full-fledged tour. 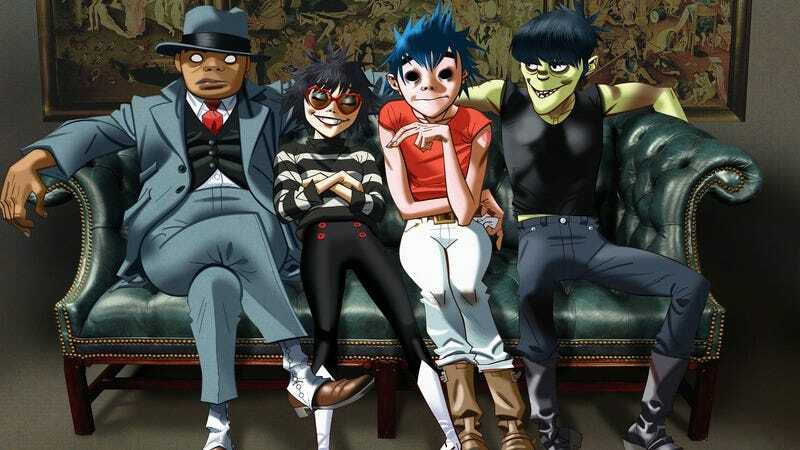 After giving fans a chance to hang with them at home via a mixed-reality app, Gorillaz have released a list of Humanz-backing tour dates. The North American tour—their first since 2010—covers most of the summer, leading all the way up to to their Demon Dayz Festival in England in mid-October, and beyond. Damon Albarn will be joined by a “touring ensemble of flesh and blood musicians,” and of course, his Jamie Hawlett-illustrated virtual bandmates. Tickets go on sale April 21, and you’ll have your choice of a digital or physical copy of Humanz with your purchase. The full list is below; any dates that have the ticket/album bundle available are marked with a plus sign.